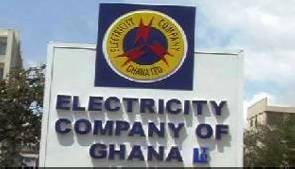 Deputy Minister of Power, John Jinapor, has refuted allegations that government has put up the Electricity Company of Ghana for sale for US$400 million. “It is not true, it’s a big lie with no accuracy in it, ECG is not being sold. 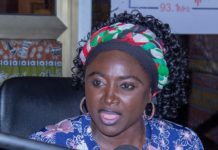 What we want is the participation of the private sector in the management of ECG,” he told Emefa Apawu on Class FM’s 505 news programme on Thursday, 18 August. Mr Jinapor’s denial was a response to claims by an inter-party group, Coalition Against the Proposed Concession Arrangement for the Electricity Company of Ghana, that the state power distributor was being given away for a pittance. The group, at a press conference on Thursday issued a five-day ultimatum to the government to review its compact with the Millennium Challenge Corporation or face their anger. Convener of the group, Richard Nyamah, accused the Millennium Development Authority (MiDA) of conniving with the Government of Ghana to shortchange the country by selling ECG to a private firm for $400 million. 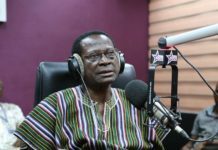 According to him, the group will be left with no option than to petition the US government and subsequently drag the Government of Ghana to court if the compact is not abrogated. “…That will stem from what action government will take; if tomorrow government decides that they will renegotiate the whole compact, we may hold back and give government a position paper on how we think the sale of ECG should be structured,” Mr Nyamah said. However, Mr Jinapor maintains that the decision to cede the management of ECG to private entities was “approved in parliament unanimously by the NDC [National Democratic Congress], NPP [New Patriotic Party], PNC [People National Convention] and the CPP [Convention People’s Party], so if someone sits somewhere and feels it’s solely a government project, it is not true”. “If any party wants to go to court over the issue, it is their democratic right, if they want to petition the US government, too, fair enough. I am sure the US government will call them and educate them and once they are educated on the process and what we are doing, they will appreciate it,” he added. For him, the accusations are “unfounded, baseless and of no value” because the Government of Ghana is yet to even “shortlist” and engage any entity concerning the concession.